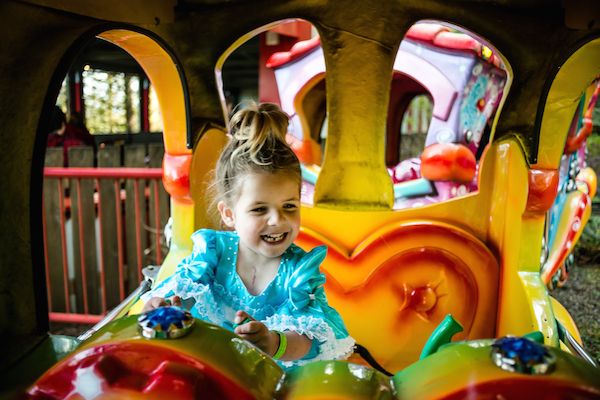 Just off I-84, don’t miss the mile- high soft serve at East Wind Drive-In or riverfront burgers and beers at Thunder Island Brewing Co., both in Cascade Locks, or the namesake dish at iconic Tad’s Chicken ‘n Dumplins, with an encore of marionberry cobbler à la mode, of course. In Hood River, have your morning macchiato a coffee bean’s toss from the Columbia River at stylish Stoked Roasters + Coffeehouse, before brunching Scandi-style with fresh- baked aebleskiver with lingonberry jam and lemon curd, smoked trout and roasted fennel scrambles, and grapefruit mimosas at Broder Øst, in downtown’s historic Hood River Hotel. Or, head uptown to lively locals hangout Pine Street Bakery for breakfast sandwiches and thick slabs of streusel-topped sour cream coffee cake. 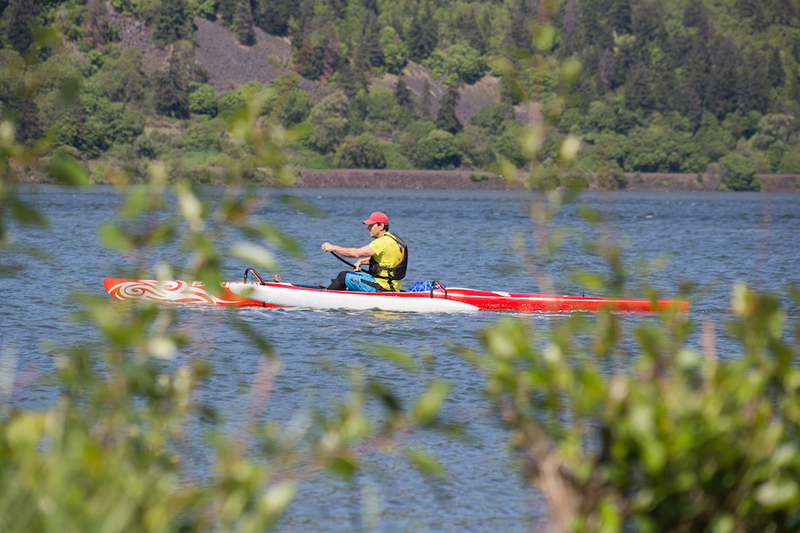 If it’s Saturday, browse the Hood River Farmers’ Market, then grab lunch across the street at Full Sail Brewing Company, where the salmon fish and chips come with spectacular Gorge views. After sampling the eighteen rotating taps at Crush Cider Cafe, head back to the waterfront for wood-fired chorizo, cherry and goat cheese pizza, and homemade honey marshmallow s’mores at Solstice Wood Fire Cafe & Bar. Follow it up with saisons and stories around the fire pit at pFriem Family Brewers … or perhaps a nightcap at Camp 1805, which claims the distinction of being Hood River’s first legal rum and whiskey distillery. 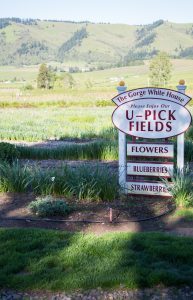 Follow the Hood River Fruit Loop, a 35-mile meander through the Hood River Valley’s bucolic meadows, orchards and farms, set against the picture-perfect backdrop of Mount Hood. 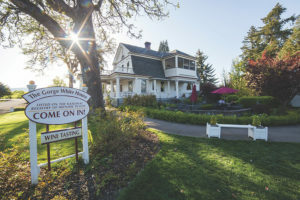 Stop into The Gorge White House, a circa-1908 Dutch Colonial home and family farm, for cider, wine and beer tasting, then continue up the highway to Packer Orchards and Bakery to taste cherry rhubarb preserves and slurp huckleberry ice cream cones. 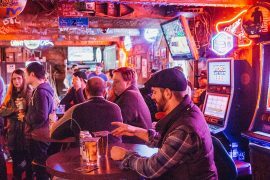 In Parkdale, stuff yourself with cherry-wood-smoked St. Louis-style pork ribs at Apple Valley BBQ before moseying down the street to Solera Brewery, a historic theater turned brewpub, with boggling Mount Hood views from the dog-friendly back patio. 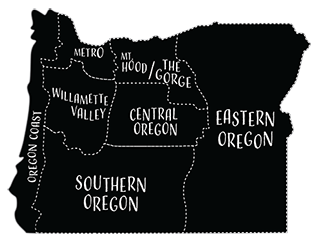 Circle your wagons and head east to The Dalles, stopping in Mosier on the way, for cider sampling at Rack and Cloth, a cidery with farm-to-table fare and a mini-mercantile selling seasonal produce, meat and eggs from the owners’ nearby farm. Just down the way, Mosier Company, a coffee roaster and restaurant, dishes out hearty home cooking best enjoyed on the big terraced outdoor patio. 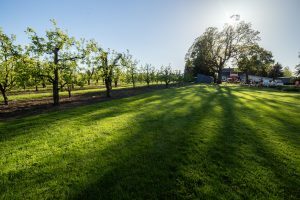 The full bar features local brewers and cidermakers like Runcible Cider, a Mosier farmhouse cidery debuting its new weekend cider stand on June 1. Try the Cherry Twang, a rum-barrel-aged apple cider fermented with dried Lapin cherries grown on the farm. In The Dalles’ lively downtown, sip a locally roasted espresso at Kainos Coffee, which fires up its wood-fired pizza daily from 11 a.m. to close, turning out crisp-crusted spicy sopressata and prosciutto pineapple pies. Settle in for a wild salmon hash and banana French toast brunch at Petite Provence, then while away the afternoon at marvelous Sunshine Mill Winery, set inside the ground floor of a historic flour mill. Come suppertime, belly up to the antique mahogany bar at The Baldwin Saloon for from-scratch cooking, local wines and an admirable collection of John Englehart oil paintings. 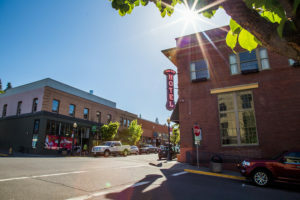 Positioned directly in the middle of the downtown Hood River action, the pet-friendly Hood River Hotel offers historic charm on a budget. If a zen retreat is on your wish list, book at Hood River’s serene Sakura Ridge, a five-room lodge and working farm with five-star views and the breakfast to match—think homemade blueberry scones, wild mushroom and asparagus crepes, and locally pressed apple cider. If bar-hopping in your bathrobe is more your style, bunk down at McMenamins Edgefield in Troutdale, a former poor farm turned 74-acre resort that truly has it all—including a nine-hole golf course, movie theater, soaking pool, two full-service spas and nearly a dozen restaurants and bars.